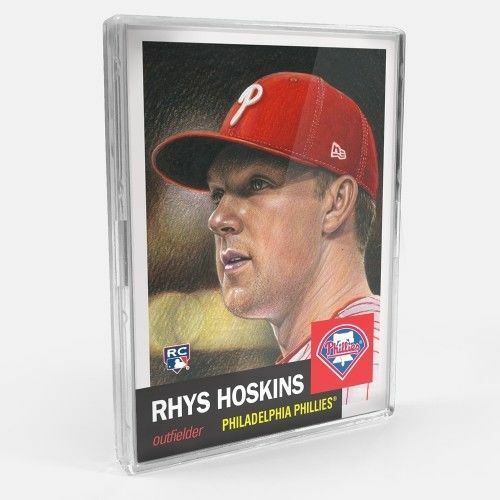 I think we have all been waiting for Rhys Hoskins to turn up in the #collect market. Now seems to be that time. 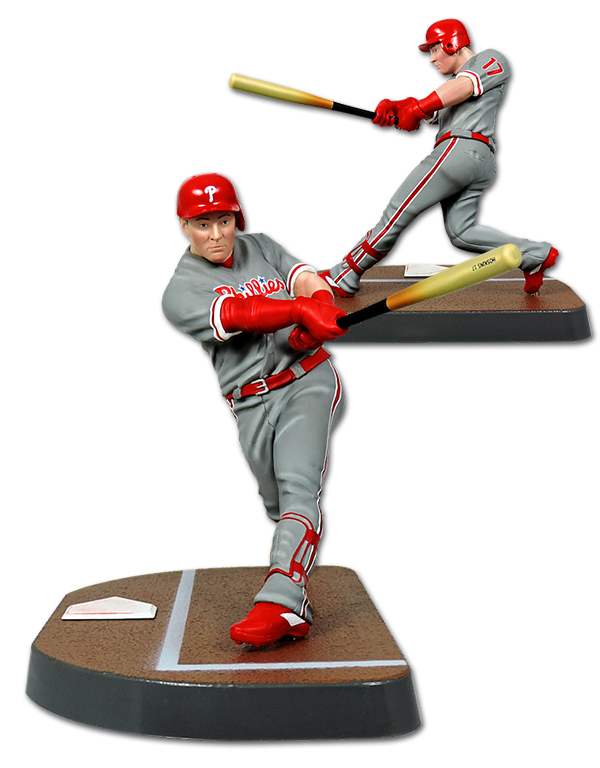 Import Dragon MLB has delivered again, releasing a Hoskins rookie debut figure today for preorder. It’s limited to 3600. Also on my want list – something I missed the boat on. The Hoskins card from the Topps Living Set Series, and it’s skyrocketed in price on ebay. I will wait until the prices flatten out on this – if they do to make the purchase. With Hoskins getting on base at a .444 clip and making moves in the MVP odds race, that may not be likely to happen soon.